Born on February 1, 1929, in Wirt, NY, she was the daughter of Albert and Esther (Graves) Schoonover. Mildred attended Bradford Area High School, graduating in 1946. She married Arthur Bishop on April 6, 1947 in Bradford, PA. Arthur preceded her in death on October 3, 2000. Mildred enjoyed many things such as reading, knitting, cross stitch, and particularly serving others. One of her favorite activities was volunteering at the Friendship Table. In addition she was renown for her apple pies. 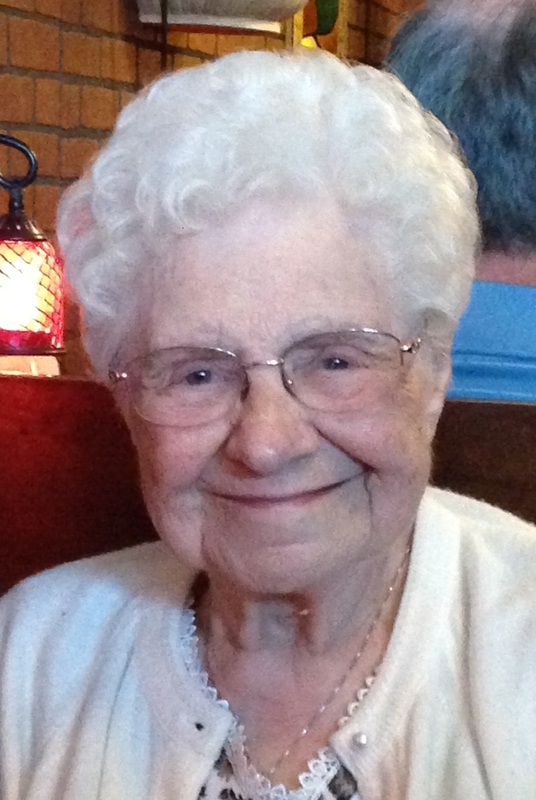 She was an active member of the West Branch United Methodist Church for nearly 60 years. She is survived by her three daughters Karen Jackson of Bradford; Angeline (David) Warner, of Wellsville, NY; Debra Frey, of Smethport, and two sons Bert Bishop, of Fort Walton, FL, and Steven (Diane) Bishop, of Safety Harbor, FL. ; brother Howard F. Schoonover, of Bossier City, LA; 10 grandchildren and 16 great granchildren. She was predeceased by her parents, husband Arthur, three brothers and three sisters, and one infant grandson. Family will be receiving friends on Wednesday, April 10, 2019 from 5:00 to 7:00 p.m. at the Hollenbeck-Cahill Funeral Home, Inc., 33 South Avenue, Bradford, and again from 10 to 11a.m., Thursday, at the West Branch United Methodist Church with a funeral service to follow, Pastor Matt Blake will be officiating. Burial will be in the Lewis Hill Cemetery, Port Allegany. Memorials can be made to the West Branch United Methodist Church or the Friendship Table of Bradford. To all of Mildred’s children & families. I know how hard it is to loose such a vibrate, loving Mother and pray for each of you has you adjust to life with out her. Mildred was always such a kind, caring person that was always happy to greet me whenever I was able to attend church at West Branch. Mildred will be missed. RIP dear lady. A dear friend from years ago.